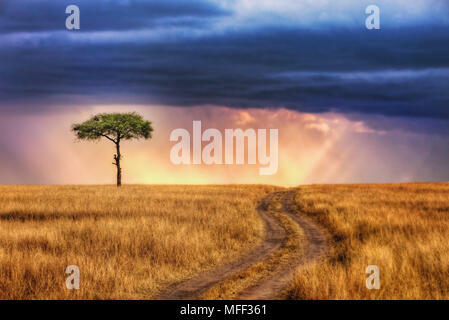 HDR image of tracks leading to lone tree on the plains of the Masai Mara National Reserve. Sun rays breaking through storm clouds in background. 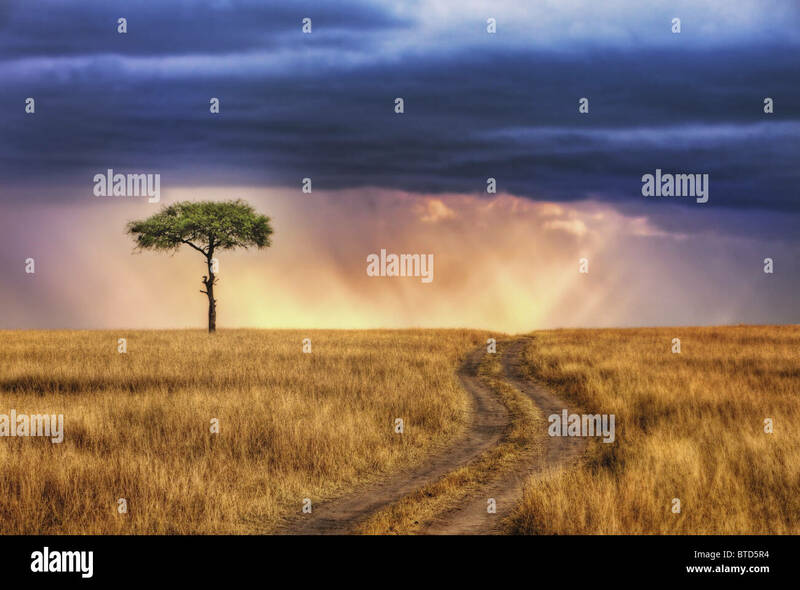 Le vie che conducono a Lone Tree sulle pianure del Masai Mara riserva nazionale. Sunray rottura attraverso nuvole di tempesta in background. Kenya.